A little monkey doesn't want to go to bed. 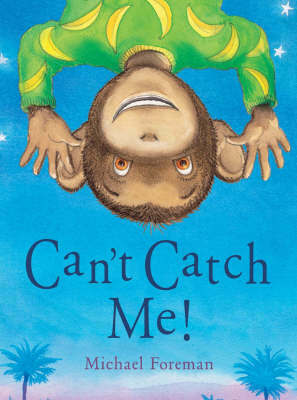 He dances through the jungle chanting 'Can't Catch Me!' So of course all the other animals try to do just that. You have never heard such a hallooing, and hollering, not to mention wallumphing and grazumping! But the little monkey is much too quick for everyone - except his mum!